Bronx, New York City, NY. July 20th 1972. Members of the New York street gang Savage Skulls. The trademark of the, primarily Puerto Rican, gang was a sleeveless denim jacket with a skull and crossbones design on the back. 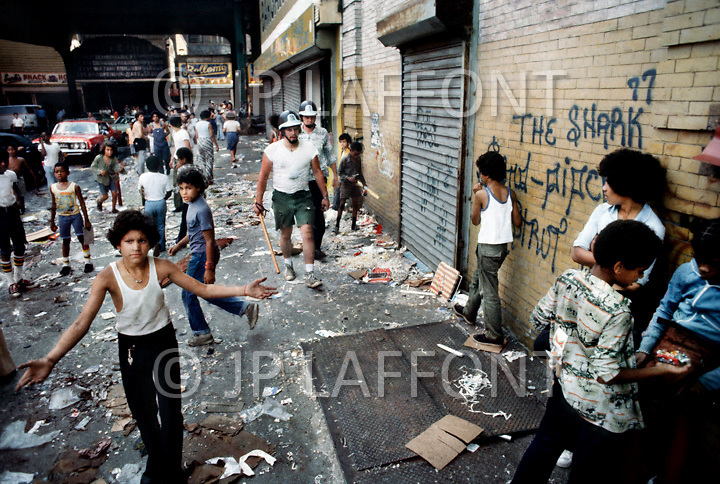 Based around Fox Street, in the popular South Bronx neighboRhood, the gang declared war on the drug dealers that operated in the area. Running battles were frequent with rival gangs Seven Immortals, and Savage Nomads.